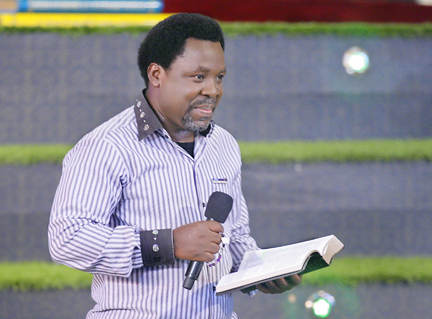 On Sunday, March 15, 2015, the glorious atmosphere at The SCOAN service was a delight to behold. The Heavenly excitement never wanes as the congregation accompany the choristers in the rendition of heart-moving songs. That God is overwhelmingly present is a fact that cannot be over-emphasised. His presence is felt even in the humble conduct of the man of God, Prophet T.B. Joshua whose short message on faith left deep marks on the minds of the congregation.